"Inspiring, friendly, dedicated, and positive" are what comes to mind when our FIT4MOM village thinks of Jessica. She joined our franchise at our very first grand opening in May of 2014. Jessica had her third baby in December of 2014. As a busy mom of 3 children, Jessica still makes time to workout. She schedules kids classes and programs around Stroller Strides and is a dedicated member of Our Village. She is a light to other moms in class with her beautiful smile. We are so thankful to have you as part of our community Jessica! 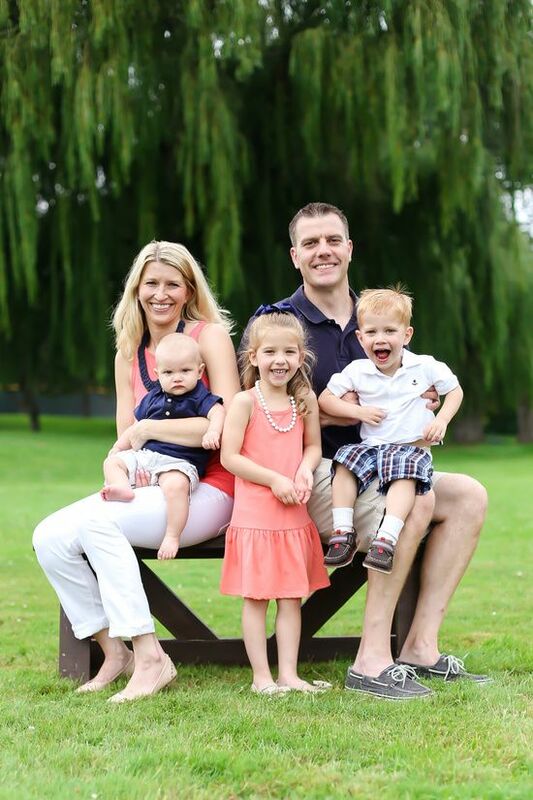 Tell us about who is in your family: My husband Chris, Eleanor age 5, Charlie almost 3, and Jed 8 months. What was your childhood ambition: To be a Laker girl like Paula Abdul and later to be a teacher like my dad. What does motherhood mean to you? Having a piece of your heart walking around outside your body. Unconditional love. What is the furthest you have been away from home? Italy or Greece, not sure which one is farther. How did you find FIT4MOM? Facebook, of course. How as FIT4MOM changed your life? So many ways! I have met amazing mommas (I love you ladies! ), and I feel like I am a part of something again. I was missing that after I left my job. I love being a part of our FIT4MOM village. Finding FIT4MOM has allowed me to incorporate exercise back into my weekly routine. My attitude toward the day is totally different after I exercise. I am so grateful for the positive energy the workout and you wonderful mommas give me each morning. Favorite exercise: Running. It is the exercise that gives me the greatest endorphins and greatest feeling of accomplishment. I feel like I can do anything after a run. I love the rhythm, the breath, and the way it clears my head. Proudest moment: Completing my first marathon with my dad and of course becoming a mom! Tell us something about yourself that would surprise us: I want to own/live on an organic hobby farm someday.